Hey Tribe!! Happy New Year! Of course with the new year being here, the thing on everyone’s mind is new goals and new intentions. To me, the beginning of the year is like being reborn and given this shiny and new clean slate to start life with. In all actuality, we can start over and/or reinvent ourselves at any time. I think the new year just makes it feel that much better, because there is a big celebration around it. Plus, how can you not feel super charged when there are so many other people around the world using their energy to do that same exact thing. We won’t even talk about the fact that the 1st was a full moon!! Whew! At the start of most new years, I find myself giddy at the excitement of the possibilities of new and good things coming to me. This year felt a little different. I wasn’t terribly giddy, but felt more of what I would call peaceful. Kinda self assured that all manners of good things were going to come into my life. And even if they didn’t, then I would make it through the trials just fine. The biggest thing that I’ll be working on this year is being more of myself. Whether it be around people who I interact with on a daily basis or sharing myself in matters concerning The Urban Countess. I look forward to really showing you guys who I am and what my brand is all about. I think it's important to stay true to who you are, because it allows you to connect to other people and find your tribe! The second thing I’ll be working on is being patient. When it comes to having patience with others, I can give it in abundance. If it’s with myself, I always seem to think I should be able to run before I can even crawl! I think having realistic expectations of myself and how much I can get accomplished will help with this. 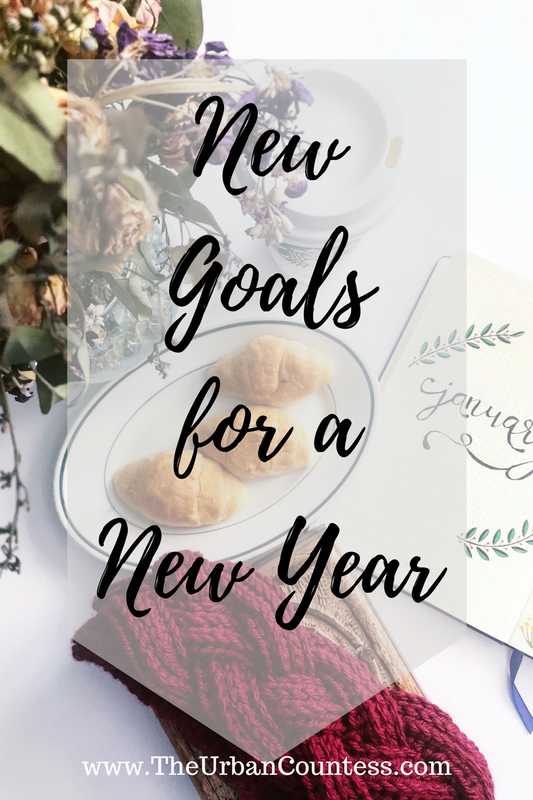 So tell me dear tribe, what are your goals and intentions for this new year? Where do you see yourself headed? I'm excited to hear what you have planned!